If memory serves, there’s some sort of meandering narrative on the site in the form of a fascination with an artist’s (general) ascent into various levels notoriety. Sometimes it’s in real time, but more often than not, it’s over time. That being said, every once and a while there moments in that aforementioned “ascent” that serve as benchmarks in real time. Think back to when we featured Elliot Root on the site, ruminating on the watershed moment of selling out 3rd & Lindsley two nights in a row. That’s no small feat, especially considering the whole dinner club component, but that’s neither here nor there, simply a reference point to (hopefully) jog the (see: my) memory in service of the matter at hand. “What might the matter at hand be,” you ask? Well, my dear reader, that’s simple (and very apparent if you read the headline…. ), we’re here to consider the overall standing and general rapidity of Liz Cooper & The Stampede in Nashville. Or something like that. For the past year and change, the general touring schedule for Cooper and her Stampede would suggest Cooper, Grant Prettyman, and Ryan Usher are gunning for “Road Dogs of The Past Year and Change.” All joking aside, I figure the trio could hold their own against any and all other Nashville (musical) nomads when it comes to “The Road” (copyright Cormac McCarthy). It may seem simple and innocuous, at times it might even seem celebratory, but that’s only after the fact. The anticipation of a hometown show would cause even the most nihilistic yet casually successful of bands to writhe in their heated sprinter van seats. But then there are those who rise to the occasion. Point and case, Liz Cooper & The Stampede at The Basement East (as you might have guessed). While it’s not unexpected considering the past year and a half saw Cooper and her Stampede on the road for the majority of it, as well as a supremely popular debut, but filling the Basement East out in such a state was impressive. As far as the performance itself was concerned, it was exceptional, as has come to be expected during Cooper’s sets. There’s no doubt that Cooper is a particularly adept fronting leader, but something that gets lost in the tight musical fracas is the superb rhythm backing abilities of Usher and Prettyman. Where Cooper goes out on her celestial guitar sojourns throughout the set, Usher and Prettyman maintain a semblance of earthly connectivity to create the perfect cross section of psychedelia and rock n roll. But again, anytime The Stampede plays, it always comes back to Cooper, and on a particularly emotional evening, she played with poignant abandon, in memory of two close friends and indispensable members of the Nashville music community. 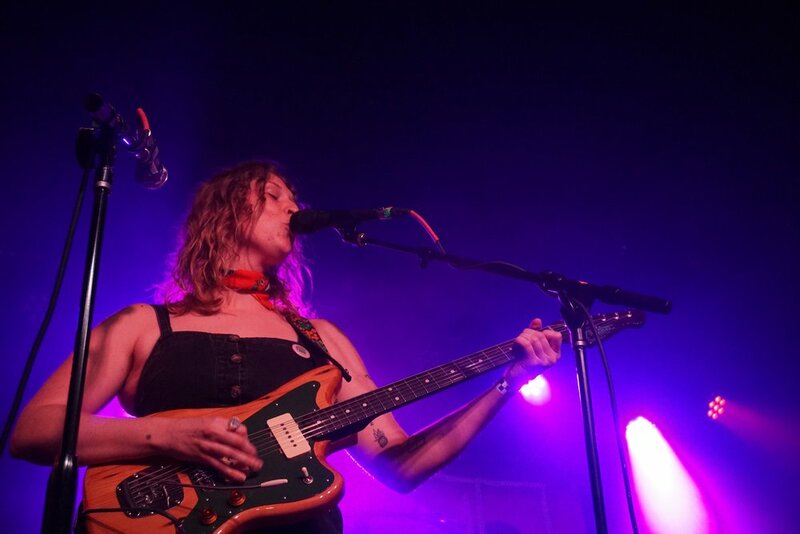 Bringing it back around to the original point of focus that is assuming one’s rightful place in the ever shifting Nashville hierarchy of bandom, Liz Cooper & The Stampede are well on their way to cementing their status as hometown heroes. With so many different bands fluctuating up and down the scale of relevance in town that it would give the Game of Thrones team of Benioff and Weiss fits, Liz Cooper & The Stampede have managed to pull themselves up out of the morass. Now it’s just a matter of time before we see their next moonshot. In terms of the leading nominees for Nashville's "next best thing," you'd be hard pressed to find a more worthy candidate than Nightingail. Okey Dokey put on another good one, this time with some new (and recognizable) faces at The Basement East. If you have yet to board the Billy Raffoul hype train, now is the time to do so, as it's bound to keep moving for a while. What is it with all these talented Canadian transplants in Nashville? The grand sleaze of the indie music scene finally finds a place to rest in Nashville, and what a wonderful time it was. One of the Nashville OG’s returns to the East Side, with a coming down the pipeline.